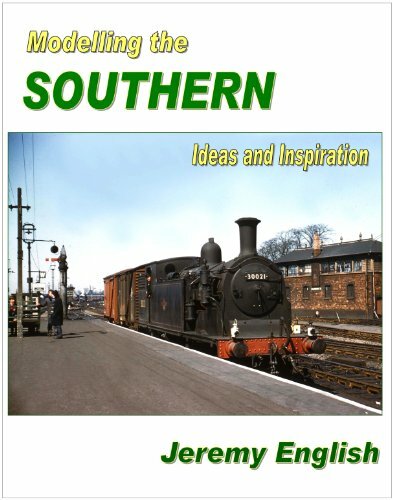 Modelling the Southern: Ideas and Inspiration is an excellent book about the southern railway for the modeller. Author Jeremy English has produced a very informative book containing a wealth of knowledge on all things Southern. A major gap in the railway modelling market has been in providing a one-stop guide to what made the Southern Railway so unique. Jeremy English is now filling that gap with this new and exciting title on modelling the Southern. This is the first of two volumes looking at the Southern Railway and Southern Region of British Railways from a modellers perspective. The book offers the modeller ideas and ways to recreate the “essence of the Southern” by means of informative text and photographs of the prototype and of models. Modelling the Southern: Ideas and Inspiration provides informative text accompanied by a variety of colour and mono images, many seen for the very first time. Expert and enthusiast Jeremy English also takes readers on a tour of locomotives, Southern Electric, freight workings, infrastructure, signalling and sample track layouts. The latter especially useful when considering planning a layout. The miscellany of the Southern is not forgotten either, as road vehicles and fencing are also included. This excellent new title will not only be a hit amongst modellers but will also appeal to those with a general interest in railways and modelling. The Modelling Inspiration section, includes a number of quality and well recognised Southern layouts. Some, such as Fisherton Sarum by Graham Muzpratt, will already be familiar from the model railway magazine press. A second book Modelling the Southern Volume 2 was published on 5th September 2013 and is equally as good as the first.